“Hire well, manage little” – Warren Buffet. Doesn’t the quote above seem to be the mantra of every single firm or organization today? Nowadays, there have been a lot of developments in the sphere of work. Workplaces have come up with extensive measures to ensure that employees duly contribute to the firm’s success. A fact that is rarely acknowledged is that it takes a good encouraging atmosphere, to help employees reach their optimum potential. Studies show that a lot of people base their performance and productivity on the behaviour of their bosses. As the society evolves, bosses are gradually being expected to shed their cold, distant demeanor and actively participate in making an employee feel comfortable, thus boosting their productivity. Very few people know how to wield power well and if your boss falls in the majority category, then you are in hot soup. 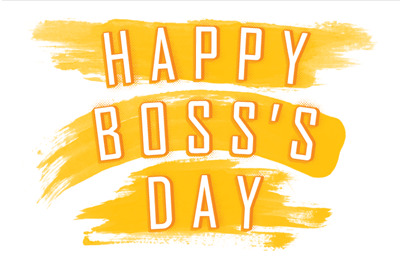 In honour of Boss Day, here are 5 signs that prove that you indeed have a good boss. When you are the boss, you essentially become the whole machine taking care of all the cogs (read employees) within. One of the most rare and sought after trait in a superior, is the ability to listen. Sometimes these higher ups tend to get so used to making the rules, that they don’t realize that they are the only ones that start and end a conversation. If your boss listens and at that listens attentively and takes appropriate measures, regarding any of your conversations, then he’s definitely a great boss. After reaching the greater rungs of the corporate ladder, many bosses fall prey to being extremely inaccessible. In spite of being at a commendable position, if your boss sees nothing wrong in getting down to the most trivial tasks, he’s definitely a team player. Instead of being closed off in their own cabins, bosses that tend to sit with their team and work are generally better at bonding with their subordinates. The most stereotyped bosses are those who act all high and mighty and play favorites. One of the traits of a good boss is the fact that they would always be fair, especially when it comes to giving feedback. Treating everyone equally and striving for a level playing field in the office, makes for a healthy working environment and a great boss. A great boss is someone who possess excellent recruitment skills. When it comes to dividing the work or given out assignments, these kind of bosses always luck out. 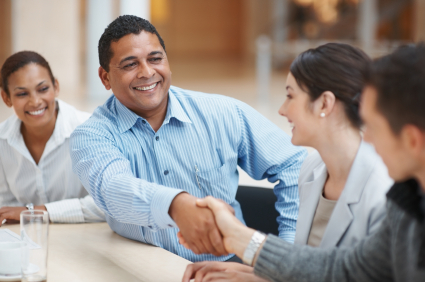 Due to their active involvement in the professional life of their employees and their astute observational skills, they know who the perfect person would for every type of assignment. The work environments today are forever evolving and transitioning towards spaces, which will enhance both performance and productivity. In such times, if your boss takes everyone’s opinions into consideration and actually puts them to use, then they are definitely doing something right. Great bosses have hallmark qualities of being very empathetic towards their employees, which enables them to walk a mile in their shoes. Imarticus Learning, is a premium education institute, which firmly believes that it can churn out the best bosses of tomorrow; with its industry endorsed courses and internationally accredited certifications and training.